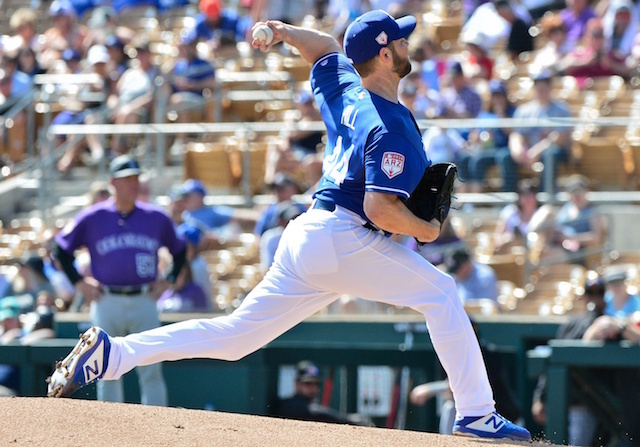 Rich Hill wasn’t quite as sharp as his 2019 Cactus League debut but successfully continued to stretch out as the Los Angeles Dodgers played to a 7-7 tie with the Colorado Rockies at Camelback Ranch. The tie marked the Dodgers’ first of the spring. 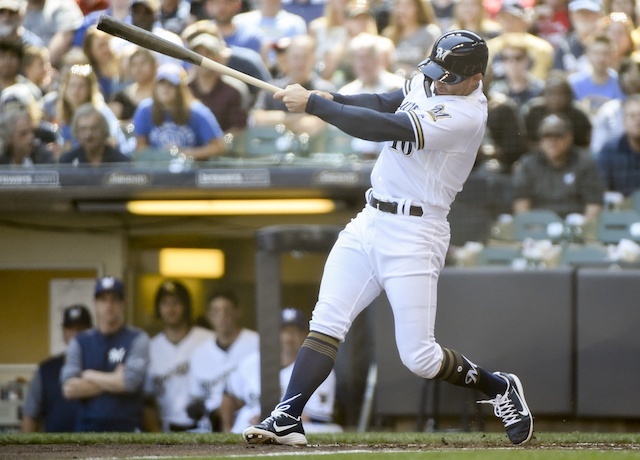 Hill failed to retire any of the first three batters faced, as Yonathan Daza reached on an error, Daniel Murphy singled and Ian Desmond was hit by a pitch. David Dahl’s RBI groundout gave the Rockies an early lead, and Brendan Rodgers sacrifice fly added to it but also resulted in an inning-ending double play after the run scored. Michael Boyle replaced Hill with one out in the third inning, only to allow a go-ahead home run to Desmond, then a double to Dahl and RBI single to Rodgers. Just as quickly as the Dodgers fell into a deficit, they erased it. A.J. Pollock continued with his impressive spring by leading off the bottom of the first with a single. Meanwhile, Justin Turner remained perfect on the spring by following with a double. Pollock and Turner set the table for Max Muncy’s RBI groundout and Cody Bellinger’s sacrifice fly, tying the game. Bellinger added to his day with a game-tying, two-run home run in the fifth inning. The homer was Bellinger’s first of the spring. Joe Kelly’s Dodgers debut left some to be desired as a walk and wild pitch led to an RBI single. Kelly threw a second wild pitch of the inning before he could get out of the fifth with the Dodgers trailing 5-2. Tony Cingrani and Josh Fields, each looking to bounce back from an injury-plagued 2018 season, had encouraging appearances. In his 2019 debut, Cingrani struck out a pair and stranded a double in a scoreless sixth inning. Fields, making his second appearance, ended a 1-2-3 seventh with a strikeout. The scoring continued in the late innings, with the Dodgers and Rockies trading leads in the seventh and eighth. Matt Beaty’s sacrifice fly in the bottom of the eighth inning tied the game for good.